GoiKid has a high value in consulting projects from definition to outcomes achievement and helps to take transformations on a business project with a team of professionals with extensive experience in “top business consulting firms”. Goikid ensure any supply chain project on any industry. Goikid is based on two pillars that ensure a value proposition that reaches its clients. Toute négociation se prépare… et l’art de la négociation s’apprend. Nous sommes une équipe de consultants passionnés par la négociation. Nous l’avons étudiée et pratiquée de longues années notamment dans les box de négociation de la grande distribution. Nous avons été formés dans les meilleurs cabinets de conseil en négociation anglo-saxons et avons accompagné et formé de nombreux cadres dirigeants de grandes multinationales. Notre mission est claire : faire de la négociation un levier de création de valeur au sein de votre entreprise. Sylpheo developpes and integrates applications to engage better with customers, and speed up internal processes. We provide Salesforce integration services and training. Salesforce is the world’s no.1 CRM. 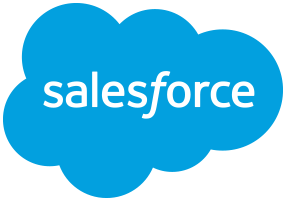 As a Salesforce Cloud Alliance Partner, our team of certified consultants help companies to integrate Salesforce solutions for their sales and marketing, and customer service processes. Our ‘Training First’ approach enables clients to be fully engaged in projects from the start, ensuring that the integration completely matches their needs. Force.com development: Sylpheo is a Salesforce ISV Partner – we create custom applications that integrate natively with Salesforce. Sylpheo is a Salesforce Cloud Alliance Partner. Our apps increase business productivity and mobility: Sylphone – Salesforce mobile call app; SocialTV for Salesforce – app for Enterprise Social Network (ESN); Axialize for Salesforce – opportunity value management. Modern cloud applications from Oracle help you re-imagine your business. The ISVC and best-of-breed SaaS applications in Oracle Cloud are integrated with standard Oreacle cleint infrastructure, and social, mobile, analytic capabilities to help you deliver the experiences fastly & on-demand. More than 250 Oracle partners offer apps and services on the marketplace—and more partners are adding their apps and services every day. Oracle Cloud Marketplace continues our commitment to offer the broadest and most advanced cloud portfolio in the industry. 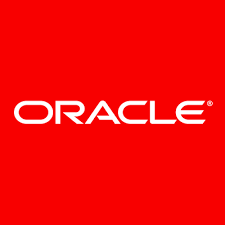 Oracle Cloud Platform as a Service (PaaS) helps enterprise IT and independent software vendor (ISV) developers rapidly build and deploy rich applications - or extend Oracle Cloud SaaS apps - using an enterprise-grade cloud platform based on the industry's #1 database and application server. A comprehensive set of integrated, subscription-based infrastructure services that enable businesses to run any workload in an enterprise-grade cloud managed, hosted, and supported by Oracle. 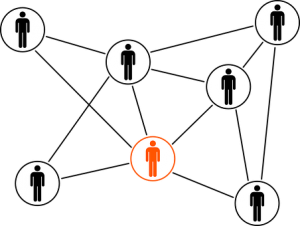 Since the origin, Users Love iT decided to work as a Community, sharing its developement Road map & Strategy with its Partners, co-building the company Blueprint, and defining Apps functions priority map with its clients. Structuring our fast and international development, our Partners ecosystem covering @ Business support & Expert training @ Integration & Project deployment @ Global Business & Apps community @ Techonlogy & Security.